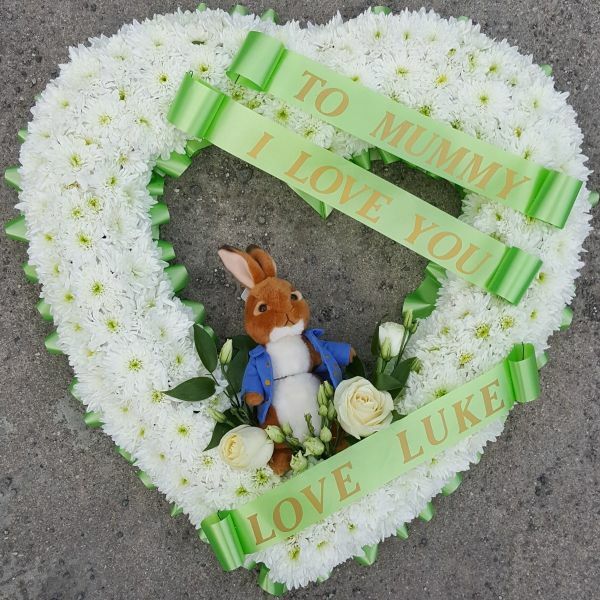 A fitting tribute from a young child to their dear Mum, the To Mummy Heart featured a sweet sentiment and a teddy. (Teddy may vary). Please let us know the child's name in the box below. Finished size 20 inches / 50cm.